AWID spoke with Luz Aquilante, Executive Director of Fondo de Mujeres del Sur (FMS, Women’s Fund from the South), about the work they have been doing for ten years, providing support and mobilizing resources for feminist and women’s movements in countries such as Argentina, Paraguay, Uruguay and more recently also in 21 countries across Latin America and the Caribbean. AWID: Can you tell us a bit about the current state of resourcing women’s rights in Latin America? Luz Aquilante (LA): Over the last years, resources for international cooperation and development, aimed at civil society organizations in Latin America and the Caribbean, have been decreasing and in some cases no longer exist. This has had a huge impact on feminist and women's movements, which keep challenging the exclusion of women and girls from the benefits of development. The Latin American and Caribbean (LAC) region is one of the least favored when it comes to official support and financing for development. According to a 2015 UN Women report, only 4% of the total budget for international cooperation and development is allocated to gender issues. 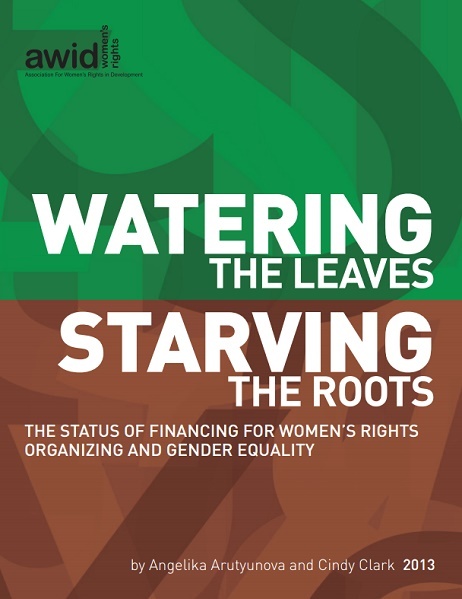 Watering the leaves, starving the roots, a report produced by the Association for Women's Rights in Development (AWID), on global funding trends, showed that the combined income reported by 42 women's funds, from around the world, was over USD$54.5 million in 2010. The distribution of this is however uneven across regions - with US$ 1.169.062 in North America, US$ 770.595 in Sub-Saharan Africa, US$ 765.191 in Asia, US$ 765.925 in Europe, US$ 330.000 in Latin America and US$ 176.865 in the Caucasus. In spite of these unfavorable financial conditions, the region has strong women's movements, which are active, have a high profile in the public domain, and are demanding that States fulfill obligations they have committed to towards the advancement of women's rights. Often, groups and organizations working for women's rights have minimum financial support, even in cases where they have solid trajectories and have proven to be efficient in their work. The fact that conservatism is gaining ground everywhere in the region heightens the risk for the criminalization of women human rights defenders, and marks a regression in inclusive policies, leading to a breakup in the social fabric, and shrinking spaces for women’s organizations advocating for their rights and collective demands. It is urgent for us to connect our efforts towards strengthening women's movements in order to address the challenges posed by these changing conditions. We believe new forms of activism must be developed, with a new individual and collective consciousness in the context of repressive policies. Intergenerational dialogues among feminist women and their organizations are key to carry on the struggle that will inspire new generations of women leaders. AWID: When and why was the Fund created? LA: Fondo de Mujeres del Sur (FMS) was set up in 2007, on October 12th - a very meaningful day for Latin America, as it is the commemoration of the “discovery” of America (the colonizing process). It is called “Day of the Race”, “Day of Spanishness”, “Cultural Diversity Day” or “Indigenous Resistance Day”, depending on each country. FMS was born with a strong commitment to respect equality and non-discrimination, and recognizing the different peoples and cultures that make up Latin America. It was founded by six feminist women from Argentina: Marta Alanis, Mabel Busaniche, Estela Díaz, Susana Chiarotti, Silvia Borselino and Cecilia Canevari, to address the lack of resources available for women-led organizations, mainly grassroots organizations, working to advance gender equality in South America. Setting up FMS was critical for the feminist and women's rights movement at a regional and international level, as other funds had already been established in several parts of the world. FMS was the first women's fund established for women's groups and feminist movements to operate at a sub-regional level with the aim of achieving social change in the long term. AWID: What impact has the fund made over the past ten years, and what does the future hold? LA: Over the past ten years, FMS has provided support to organizations in more than 50 different locations across Argentina, Paraguay, Uruguay, Ecuador and Bolivia. We have granted over US$3 million to more than 100 women's organizations. The work we have supported has enabled organizations to develop their own sustainability strategies, and to be in a stronger position to find their own sources of funding. Part of our strategy is to give unrestricted grants, and to supplement that with technical and political support, as well as capacity building. This centres respect for collective organizational building, and for the knowledge developed by the groups and organizations we support. It is rooted in a feminist approach that trusts women’s organizations to set their own organizational goals and objectives. Women decide how to spend the money, not FMS. FMS is experiencing increasing institutional and financial growth. 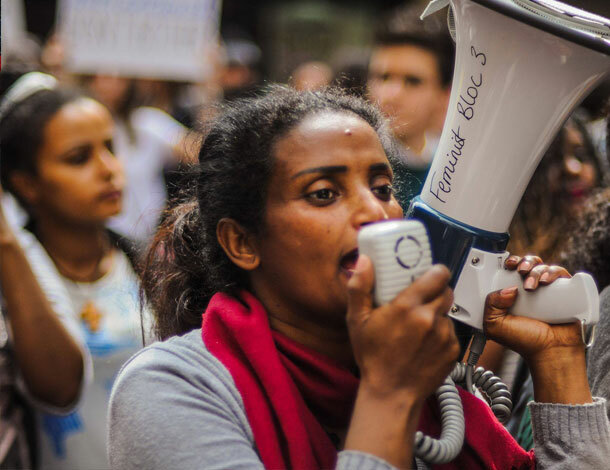 We have been able to mobilize bilateral cooperation resources to establish Leading from the South (LFS), a program established to fund and support activism for women's rights in the Global South over a four year period (2017-2020). This is a joint programme run by four women’s funds: Fondo de Mujeres del Sur (Latin America and the Caribbean), the African Women's Development Fund (Africa and the Middle East), South Asia Women's Fund (South Asia) and the International Indigenous Women's Forum, and is funded by the Ministry of Foreign Affairs of The Netherlands. AFMS recently launched a program called “Nuestros derechos, nuestro orgullo: el poder de la diversidad y la construcción del movimiento LGBTI”, [“Our rights, our pride: power to diversity and the building of the LGBTI movement”] to support medium sized and grassroots organizations led by LGBTI activists from Argentina, Paraguay and Uruguay to promote social change towards a culture of non-discrimination, inclusion, and tolerance that advances human rights for those communities. I see a promising future for FMS as we continue to grow from strength to strength. We aim to work even more strategically at the international funding and regional levels, whilst still continuing to develop our strategy for local resources. There are several examples in the Latin American region, such as Semillas [Seeds] in Mexico in 1991, Fondo Social Elas [Elas Social Fund] in Brazil in 2000, Alquimia [Alchemy] in Chile in 2001 and FCAM in Nicaragua in 2003.